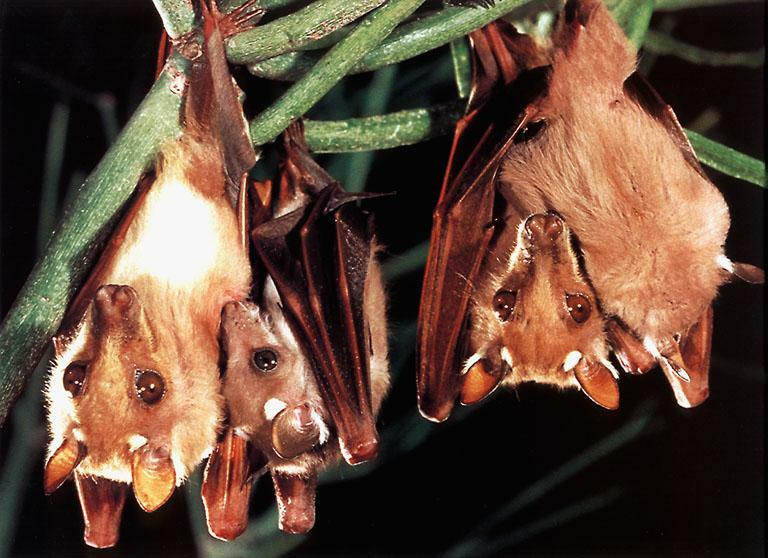 These are of the genus Cynopterus and belong to the family pteropodidae (in Greek literally “winged feet”). We have two species that feed here, the Lesser Short Nosed (C. brachyotis) and the Short Nosed (C. sphinx). 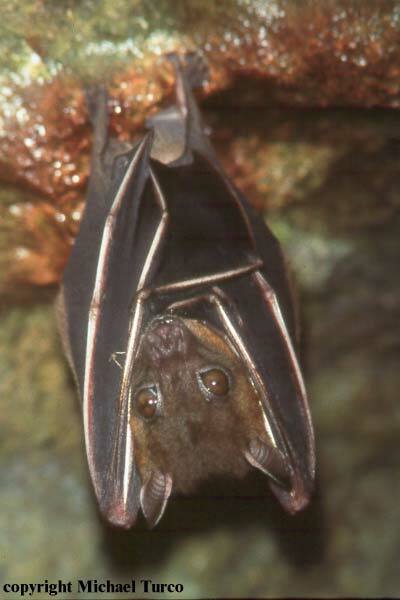 Fruit bats include the giants known commonly as flying foxes and they are all endangered. Much misunderstood, they have been branded as farmers’ enemies and in India are even classified as vermin – which means that they can be hunted and killed at will. So, all the fruit bats are endangered, not only due to habitat loss but also because of hunting! In actual fact, orchard owners have nothing to fear from these shy, exquisitely beautiful creatures. 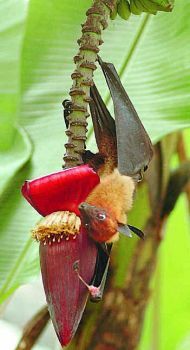 When they feed on fruit it is always the overripe fruit that they eat. 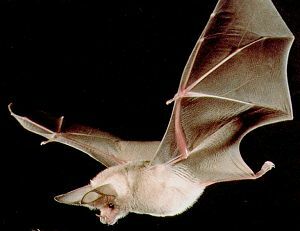 In fact, without the activity of the fruit bats, pollination and seed dispersal would both be terribly compromised, leading to further loss of forest trees and fruit trees. 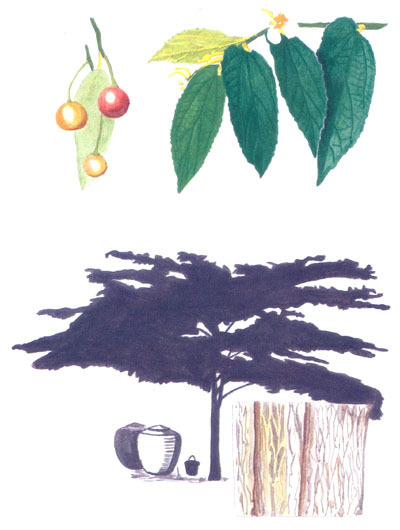 By simply planting a few select trees, like the Jamaican Cherry (Muntingia calabura L.). Muntingia itself adds value to any farm as it is a multi-use species producing edible fruit, useful fibre and attractively grained wood besides being fast growing. 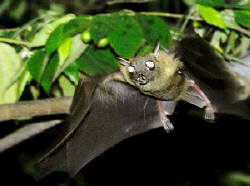 The tree does well in poor soils – could it be precisely because it is visited by myriads of fruit bats every night?